A visit to the dentist can be expensive, but do you know what’s more expensive that visiting the dentist for a regular checkup? Not visiting the dentist! Preventative dental can spot potential issues in yours and your children’s teeth and literally save you tens of thousands of dollars. Especially if you live in one of the states of Australia where dental care isn’t given free at school, you need to be aware of the risks associated with ignoring a regular dental checkup. Most dentists will tell you to bring your kids in every year, but if you can’t afford to do that try and get down there as often as you can. We highly recommend not leaving it for more than 2 years between visits at the maximum. By getting your kids in to see the dentist from an early age, and with regular visits, you can help dispel some of the negativity and fear many adults suffer from in later life. While we are strong proponents against the fluoridation of water and using it in toothpaste we still believe it is important to get your kids to the dentist for regular checkups. While we were in L.A. recently protesting against the GMO food labeling bills, we stopped in at the Global Dental Forum to catch up with some of the industry leaders from around the globe. We were lucky to get an interview with David, a Dentist from South Philadelphia who works for Philadelphia Dental Arts. He had some tips on how to keep your children’s teeth in good condition to reduce the chances of problems as they grow older. This is an obvious tip, but one that is often overlooked. It’s so easy to give in to kids’ whinging for MacDonald’s or Wendy’s ice-creams or chocolates and lollies as you exit the grocery store just to shut them up. Doing so however not only encourages that sort of behaviour but also sets them up for a lifetime of bad habits. Cut out the processed garbage from their snacks, but them healthier buscuits or fruit instead, and teach them the importance of a healthy and nutritious diet from an early age. This goes hand in hand with the first tip. Cut down on those horrible sugar filled, cavity causing drinks! The amount of sugar in soda these days is unbelievable, and the damage caused to teeth and other parts of the body by the over-consumption of such drinks can be irreversible. If you can’t completely cut out those nasty, high-fructose corn syrup filled beverages from your life completely, opt for healthier options. Natural fruit juices with no added suger or organic sodas are a better choice. Stay away from energy drinks as well, as these are just as bad – if not worse! 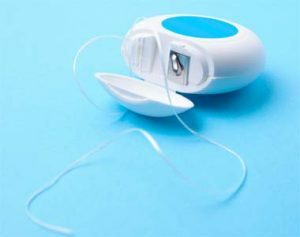 Flossing is just as, if not more important than brushing. Make sure your kids embrace flossing as part of their daily dental routine. Getting the gunk our from in between the gums is extremely important to gum health and overall dental care. Make sure you floss daily as well to show your kids a good example and maintain your oral hygiene. Natural foods like fruits and veggies do not damage or cause stress to teeth like highly processed foods. Replace more of the refined and processed foods in your children’s diets with vegetables, fruits, nuts and seeds, and their teeth will stay in top condition for longer. This is a good idea for you too, to maintain your overall health (not just your dental health) for the long run. So make the switch to a more natural diet and reap the benefits for both you and your children.